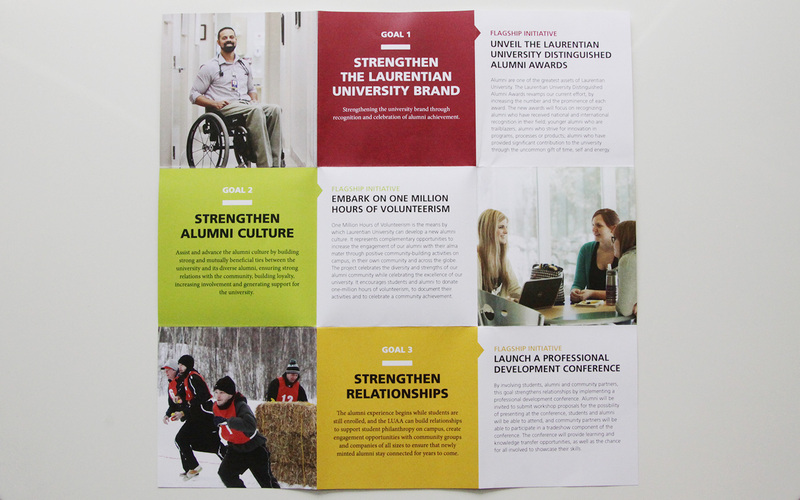 Laurentian University Alumni Association is integral to building lifelong relationships that help promote the welfare and advance the interest, influence and usefulness of Laurentian University. 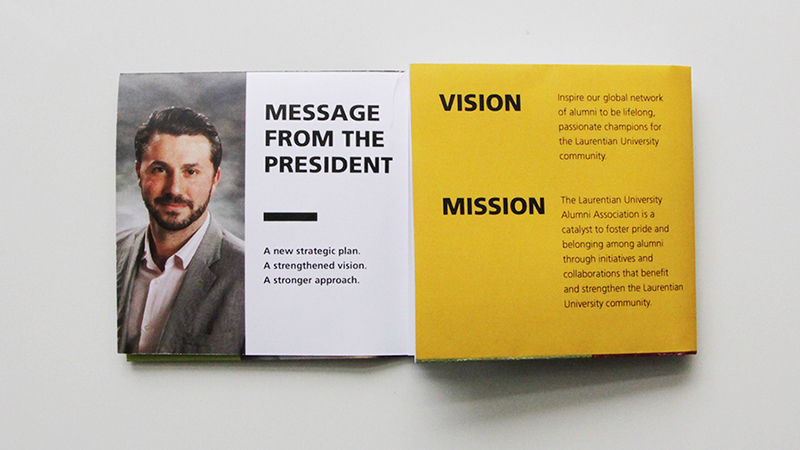 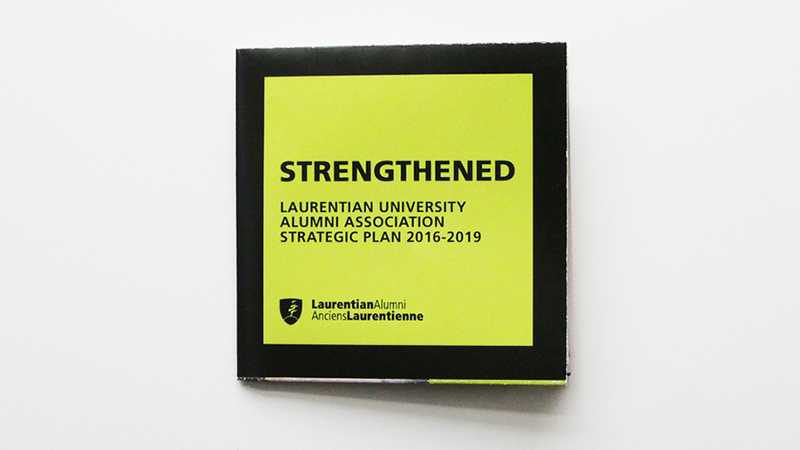 The LUAA is currently launching new strategic goals to further its brand and to inspire and foster its global Alumni network to be passionate champions of the University. 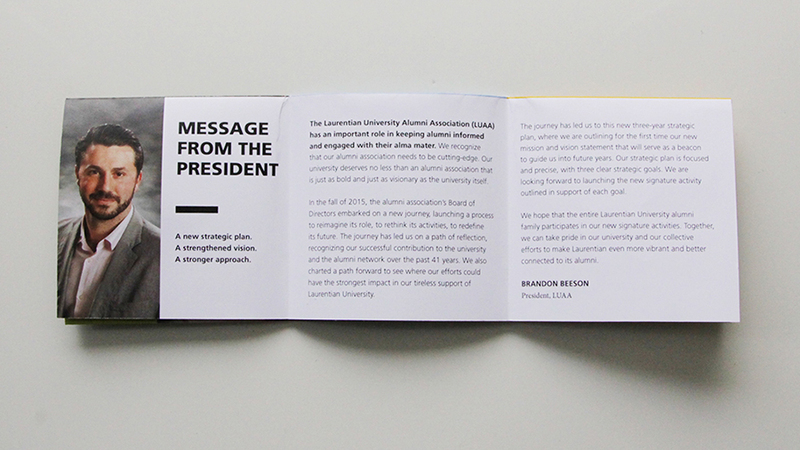 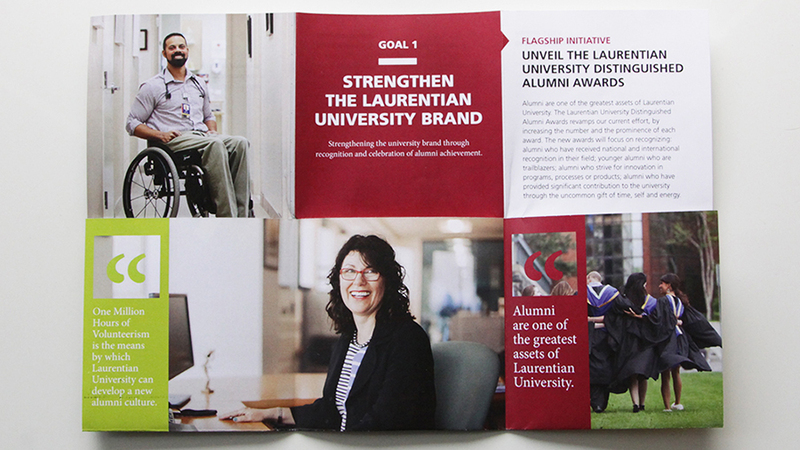 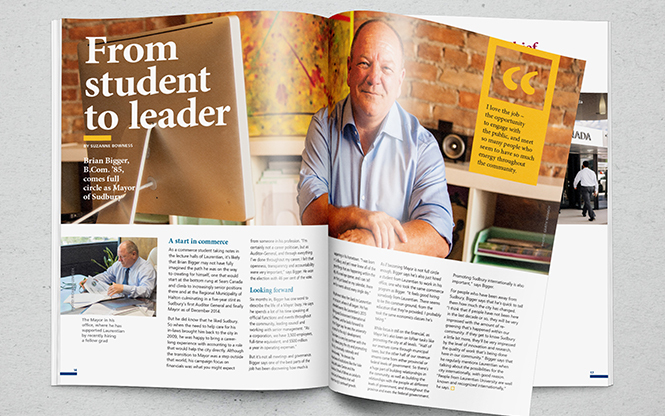 In an effort to strengthen LU’s connection with Alumni, SOS was tasked to redesign the LU Alumni magazine. 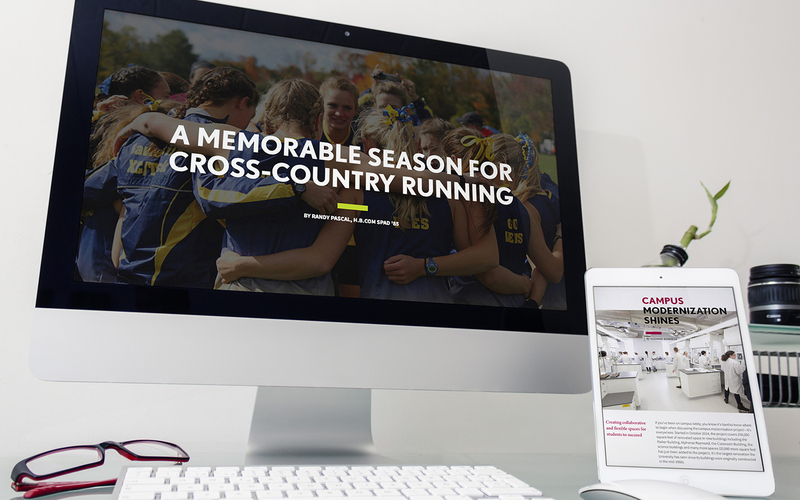 Part of our solution was to introduce a new masthead and wordmark, taking cues from Alumni’s key attributes–ambition, bold, and driven. 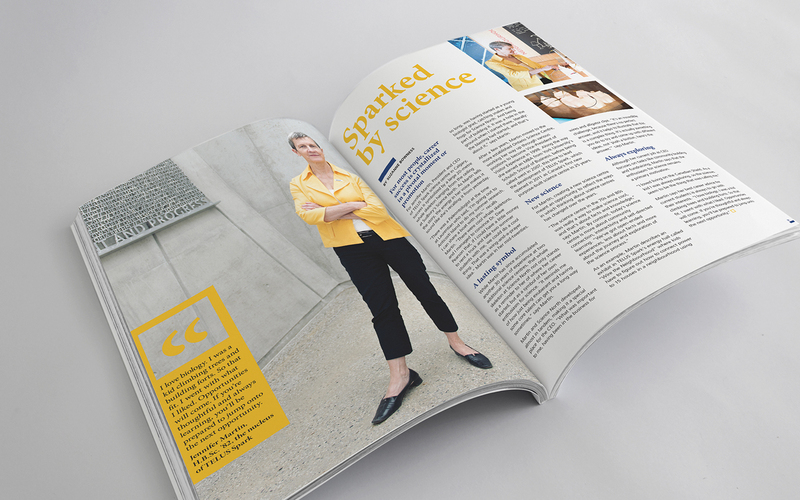 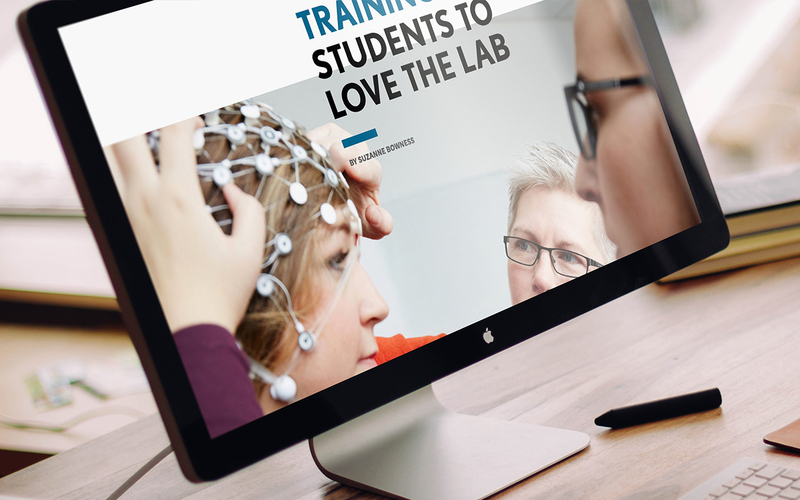 Overall, the creative leveraged strong editorial content, vibrant colours, smart type hierarchy, and custom photography to rejuvenate their publication. 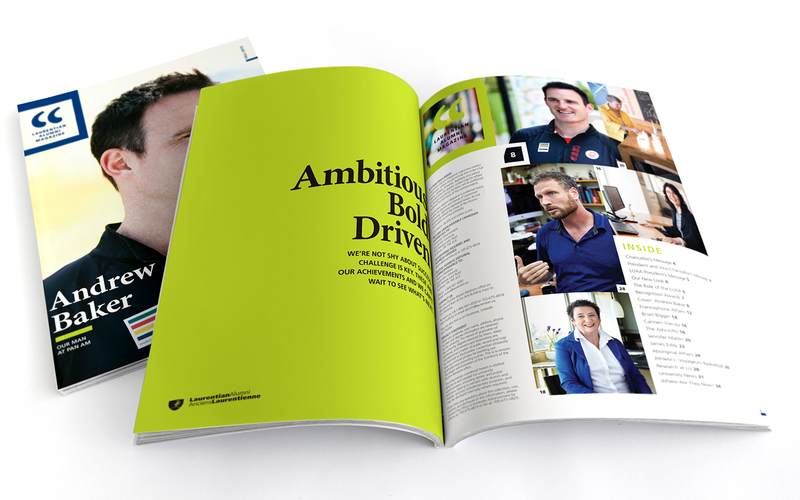 Following the success of the printed magazine, LU wanted to reach a more youthful and mobile audience and as result challenged SOS to source new online opportunities. 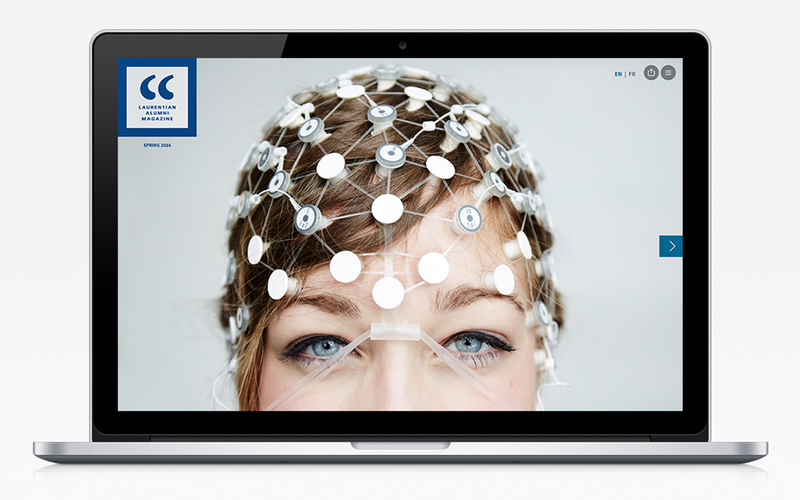 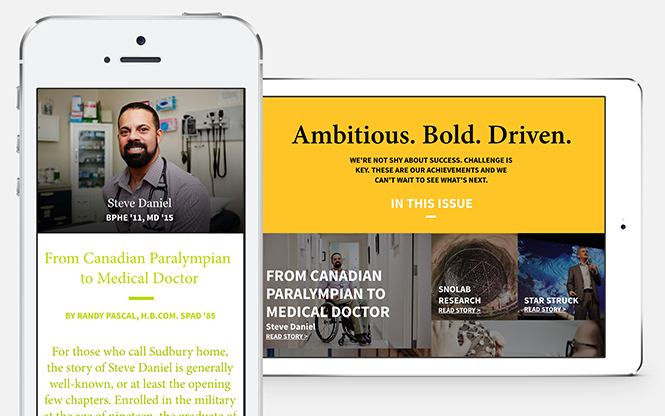 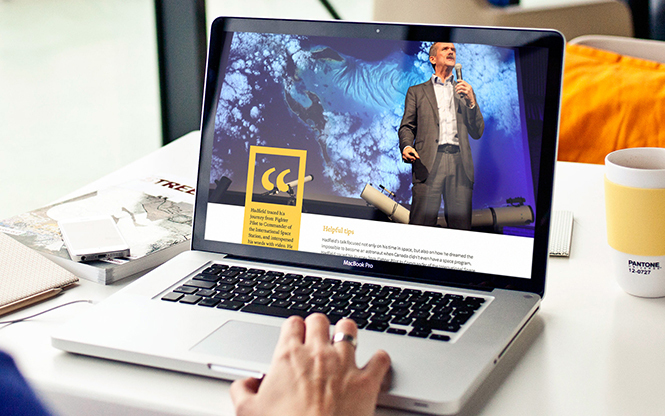 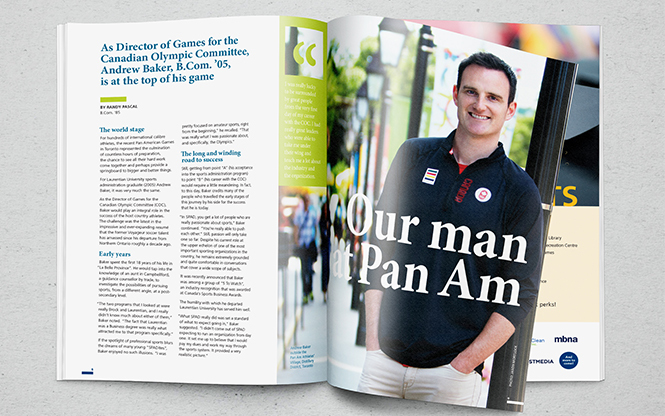 In doing so, we redesigned the magazine to be more interactive through a custom publication platform called Ready Mag. 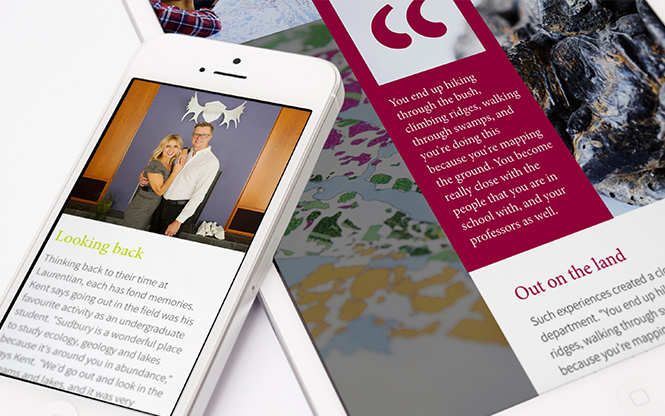 Navigation, social integration, and page sharing have all brought more functionality and control, while keeping the look and feel.